The Imperial Guild of Foresters serves the Eternal Empire of Koth by cultivating, cataloging and harvesting the great bounty of flora and fauna of Urth, turning them into useful items for its citizens. The guild runs collectives, preserves and protectorates. 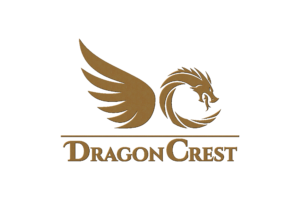 They are responsible for managing hunting, husbandry, ensuring the proper harvesting and storing of crops, developing and training alchemical products and skills. The Guild of Foresters trains all of the animals used by the Imperial Legions and nobles throughout Koth. They procure exotic creatures of all types across the Urth for use in the Guilds. 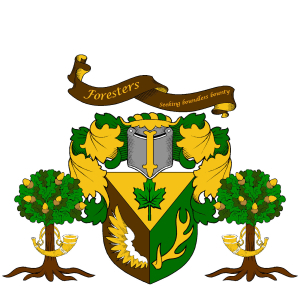 The Guild of Foresters serves to protect the citizens of the empire from the wild creatures and dangers of the land. Imperial Foresters teach the skills of harvesting, crafting and identifying materials born of Urth and throughout the empire. The Master of the Fields is the appointed leader of the Guild in the territory who oversees the administration and regulation of farms, crops and alchemy. The Master of the Fields is also responsible for the training of farmers and alchemists. The Master of the Hunt is the appointed leader of the Guild in the territory who oversees the administration trapping, furring and hunting. The Master of the Hunt is also responsible for training hunters of all kinds. The Master of Beasts is the appointed leader of the Guild in the territory who oversees the administration, regulation and training of animal handlers, breeders, ranchers and healers of animals. The Master of the Wilds is the appointed leader of the Guild in the territory who oversees the administration, regulation and training of scouts, explorers, guides, trackers and loggers. The Master of the Chimera is the head of the Order of the Chimera within the territory. This position makes him an officer in the Imperial Legions, typically a Lieutenant. The Master of the Chimera is served by three Huntsmyn: The Maned Huntsmyn, The Scaled Huntsmyn and the Horned Huntsmyn. Apprentices who have demonstrated proficiency and loyalty advance to Journeymyn. Journeymyn who show expertise and leadership may be granted the title of Foremyn. Formyn who master their craft and display unswerving dedication may be granted the title of Master or Mistress. Applicants who are accepted into the Guild are made an Arrow. Arrows who have demonstrated proficiency and loyalty advance to Bow. Bows who show expertise and leadership may be granted the title of Huntsmyn. Huntsmyn who master their craft and display unswerving dedication may be granted one of the special titles of Huntsmyn. A traveling guild member who is not attached to a specific guild hall. A venatic travels the land hunting creatures for himself and the Guild. A member of the guild who runs a guild farm or ranch supplying food and resources to the guild and local population. A low ranking member of the guild who runs small farming operation. Why join the Imperial Guild of Foresters? You enjoy the thrill of the hunt. You prefer the wilds to the city. You want to show people how to thrive in this world and use its’ bounty wisely. You seek the uncharted, unknown, untouched creatures, sites and scapes of Urth for the glory of Koth or your own undying curiosity. The beasts and plants are like your children. You feed then, nurse them, make them grow strong. 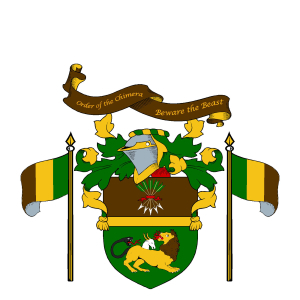 Whispers about the Imperial Guild of Foresters? They are breeding and crossbreeding powerful creatures as weapons for the Empire. One day they’ll make something even they can’t control. They claim all the good land and stock for themselves, leaving little for others to work or raise. Ever notice the marks of the Foresters preserves? No matter what they say there is only so much to go around. Boundless bounty? Only the Kothites themselves have that. The rest of us eat scraps from their table. They have been secretly lobbying to make changelings named and beasts so that they will have dominion over them rather than the Guild of Slavers. They care more about their land and animals than the citizens of Koth. The Mistress of the Guild is a young silvani, originally from Rhianna in the Imperial Province of Albyon. Orla is a prodigy among her people. A skilled archer and alchemist, she is known for her successful hunting of the maddened beasts and floating flora of the cloud forests. Her skills were also called upon to hunt the stonescarred creatures of the Scythian desert. Guildmistress Orla knows well the maladies that can strike the flora and fauna of Urth. Since the Green Fires, Orla has been seeking the breeding stock of dread wolves kept by the Boki tribes. The plagues they spread during those dark days seem to haunt her still. She wields a bow made of mistwood from her home forest. The Mistress of the Fields is an human woman past her middle years. Originally from Alscae, north of the green mountains of Groenn’s Rest and south of the Sand Seas of Scythia in Koth, she spends the majority of her time tending the fields in the Meadowlands, calling the guildhall in Dunnor, Rhead home. Avelyn purports to have some special beneficial relationship with the local Fae of the seasonal courts. She asks any who find information about the Fae to bring it to the guildhall in Dunnor, especially anything related to the mythical Estarra for whom the Gulf is named. The Master of the Wilds is an avarian originally from the forests of Rhovar near the Imperial Seat of Koth. The forests of Rhovar, the mountains of the Shield of Thoris, the jungles of Telzar and the vast Sea of Light stood as proving grounds for young Jaegan while he honed his considerable skills in Koth. Master Kestri aided the Obsidian Eagle in his conquest of the Boki following the Green Fires, pursuing the greenskins until they huddled in the deep dark places far away from the light. The Master of the Wilds constantly seeks new lands, new creatures and new challenges to track. One such creature is the mysterious Dark Destrier of the Meadowlands. Some say that the creature came for his love during the Green Fires and Master Kestri has never given up the search. The Master of the Hunt is a kindari of special talents. Master Bryok Nyrhal, also known as the Woodshadow, hails originally from the Violet Woods of Dahkus, south of Quantaine and north of Annwyn along the western shore of the Sea of Light. Master Nyrhal possesses violet eyes indicating his relation to the royals of Dahkus. Like all his kindari cousins, the Master of the Hunt also bears a spirit mark upon his face. Master Nyrhal bears a violet mark, similar in color to his eyes upon his jaw that is reminiscent of a boar. Master Nyrhal favors the use of Dahku Handcleavers in his hunts.